The High school package includes our brand new pre-algebra series, brand new algebra series and acclaimed geometry series. In all, this package contains 15 Dvds. This expanded program will cover your high schooler's total curriculum needs from 8th grade through 10th grade. As your high schooler progresses further in math, the dvds will be an ever available resource for them to excel in their math subjects . The new topics added by the Common Core Curriculum and the emphasis placed on student comprehension have left many students staggering. With these Math Made Easy programs, students will discover easy to understand explanations illustrated with full-motion graphics in a dynamic and captivating presentation. In his masterful teaching style, Leonard Morochnick highlights the important principles for students to remember. As he progresses, he shows time and again how these principles are applied. Mr. Morochnik’s famous “do not make this mistake” will prevent students from common pitfalls. The programs provide problem solving strategies for all the concepts taught, accompanied by actual examples and their step by step solutions. This helps students build their Math comprehension and master problem solving techniques. While many math teachers focus on rote learning and memorization, Math Made Easy focuses on comprehension. 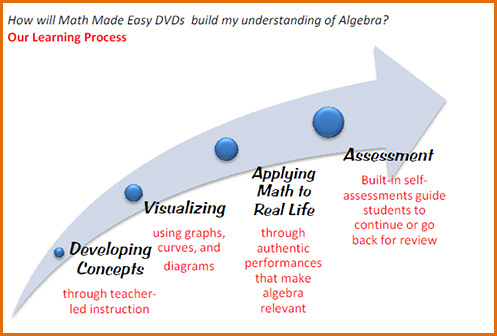 Your student will develop a genuine understanding of math concepts and be able to apply them. Dynamic lessons and do-it-yourself exercises build upon this foundation of understanding. Watch your student's eyes light up with the "aha" moment of comprehension! 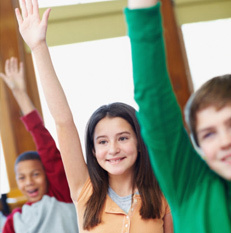 Math Made Easy empowers students by putting them in control of the learning process. No more struggling to keep up with lightning-fast lessons! Our video-based tutorials programs will take the stress out of learning by enabling students to control the pace of their study. With your student in the driver's seat, he/she will attain a mastery of the math skills along with the confidence of success. Utilized by thousands of students, Math Made Easy software provides the extra review that many students need to keep up in school. The program is also ideal for in-classroom and homeschooling use. Its versatile format makes it the perfect resource to supplement an existing math course or to provide a comprehensive review.